The tragic shooting at Stoneman Douglas High School in Parkland, Florida, left many people hurting, and now students of the school are making a powerful protest under the restrictions they received. February 14 was a day that many will remember as a terrible part in U.S. history as 17 innocent people were killed at the hands of Nikolas Cruz. 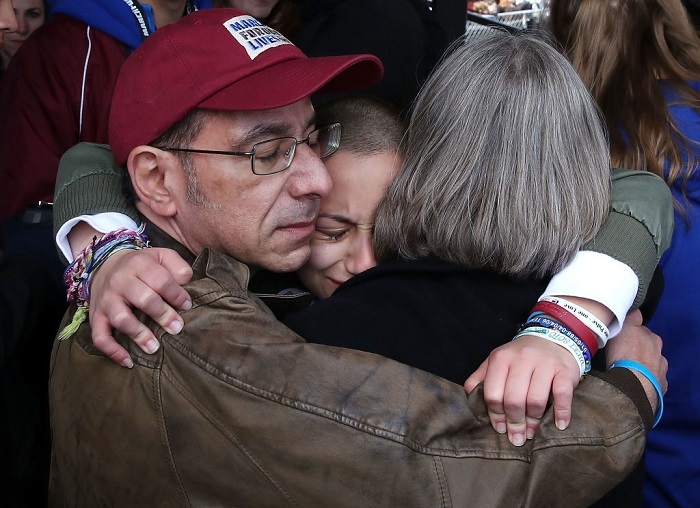 The shooting sent shock waves throghout the country, and many saw that day as a chance to make a real difference with gun laws in America. What came next surprised many, and especially students at the Florida high school that lost their friends in the shooting. 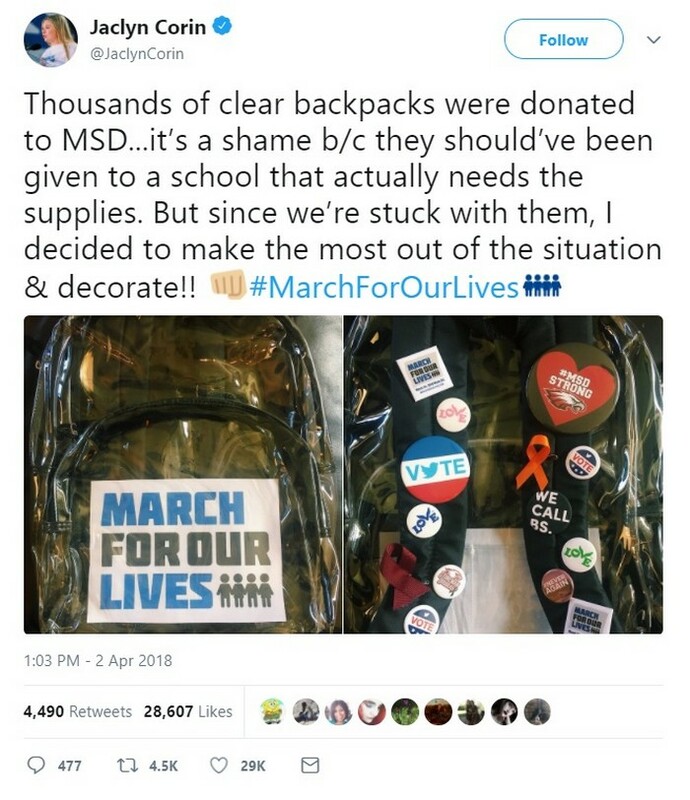 Under the Broward County School District announced changes, the Stoneman Douglas High School in Parkland, Florida, were required to start using clear backpacks whenever they went to school, even though Nikolas Cruz was not a student at their high-school. 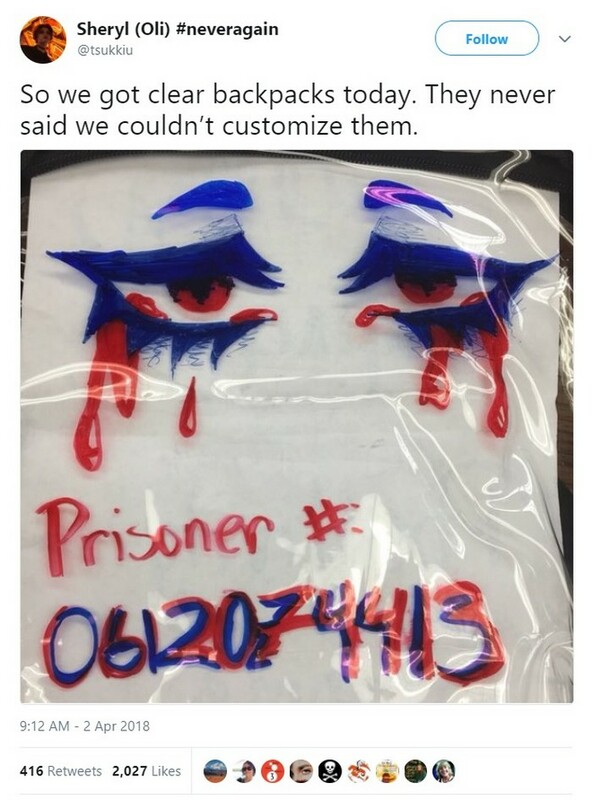 A few days ago, the students went to school for the first time under the new requirements, and they saw it as an opportunity to make a powerful statement. 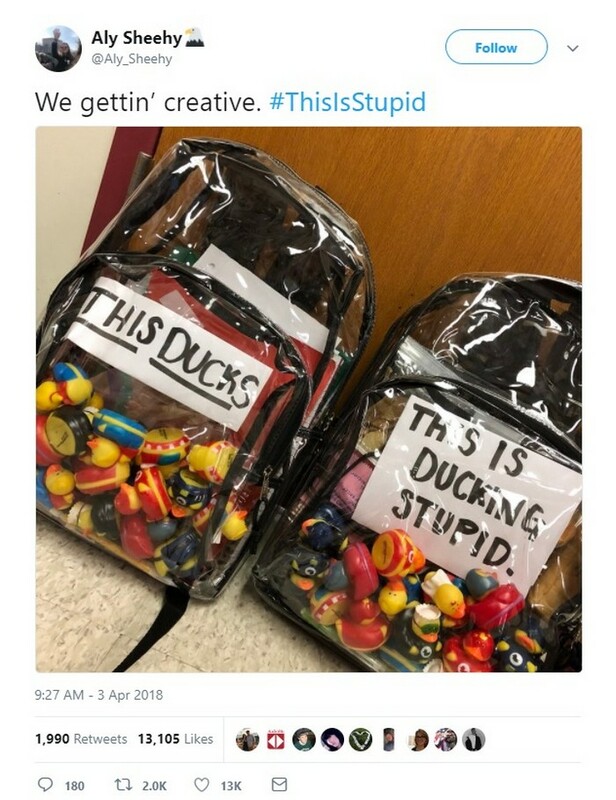 The students took to twitter to show their frustration, and many of them used the changes to raise an argument with Florida Republican Senator Marco Rubio. 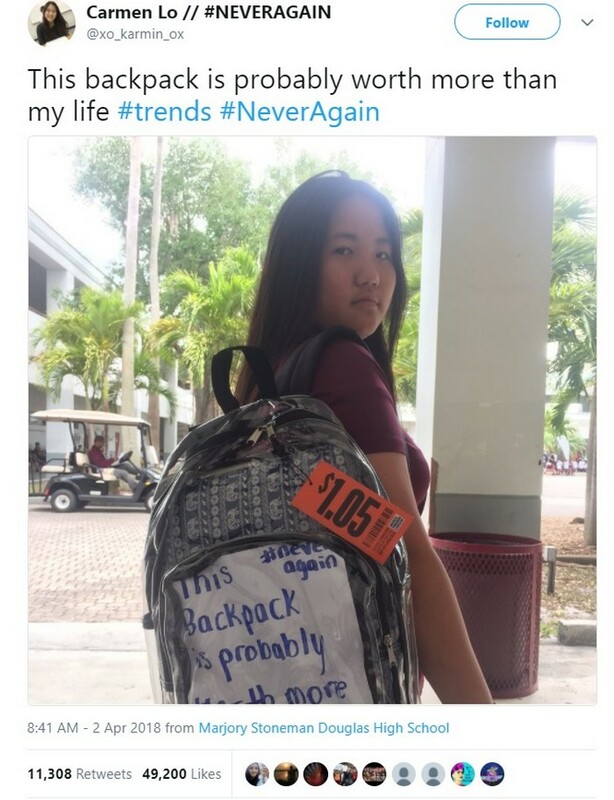 The clear backpacks were tagged with orange price tags that showed the 'value' of their lives. The $1.05 tag shows the amount of money Rubio receives from the NRA (National Rifle Association) divided by total number of students in the state of Florida. The silent protest of the students is making waves with many of parents supporting their kids' protest against what they see as unfair. 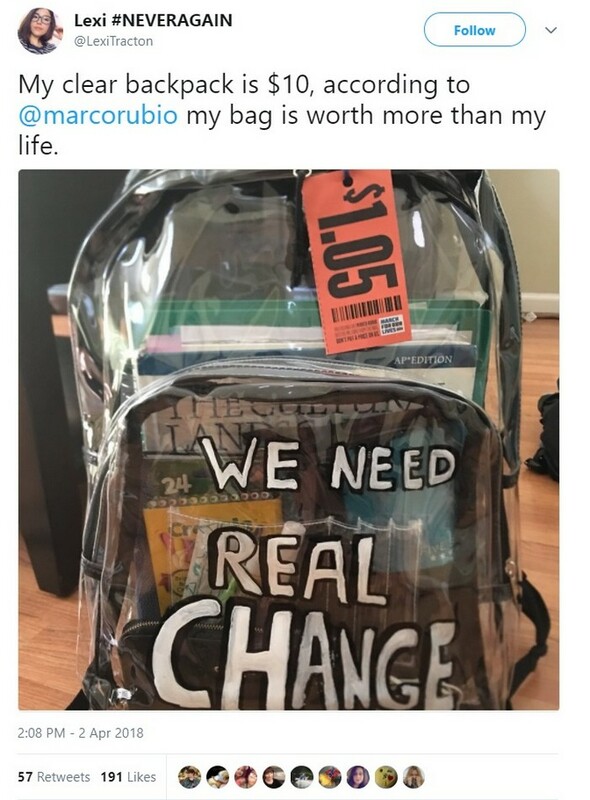 The clear backpacks are likely to stay around for the time being, but it remains to be seen what their affect will be, both on students and legislators.